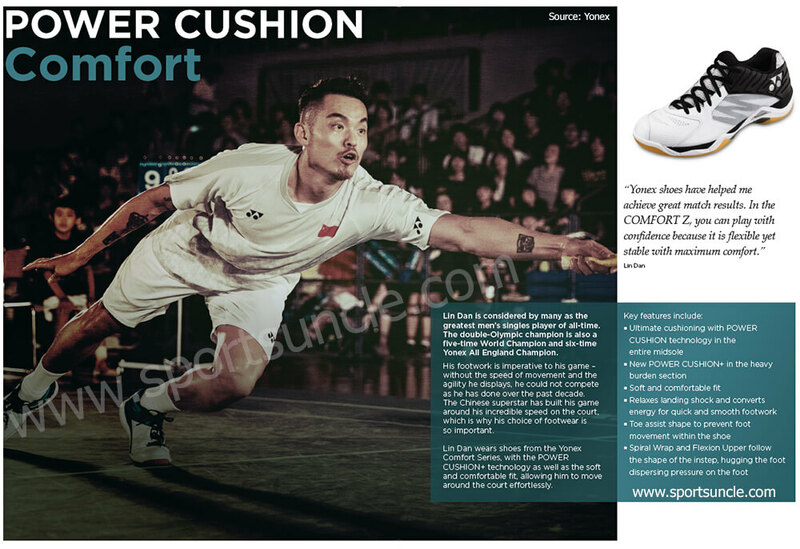 Snug fit Badminton shoes with ultimate cushioning equipped with the POWER CUSHION throughout the entire sole. Compared with conventional POWER CUSHION, the new POWER CUSHION ＋ boasts 25% more shock absorption and 12% more repulsion in Comfort Z Men. Flexion Upper - Asymmetric design with a curved eyelet creates a natural snug fit around the inner arch. Full Cushion Sole+S - Taking the shock-absorbent properties and high repulsion of the POWER CUSHION to the next level, Full Cushion Sole+S features POWER CUSHION throughout the entire midsole. This increased level of cushioning results in reduced stress on the ankle and heel for a pleasant fit. Hyper feather light - The mid sole material which there are few light weight and transformation, and maintains initial performance for a long time.